We are just weeks away from school ending and I don’t know if my kids are more excited, or if I am. Sleeping in, no more alarms and doing things at our own pace. Lazy Summer days are ahead! Lazy days and changes of routine also bring lazy habits, like proper oral care. When my kids sleep in, they often stay in their jammies for hours and routines of brushing teeth get thrown off. On weekends, I’m often reminding my kids to brush their teeth 2-3 times before it’s done. I can only imagine what summer will bring. This was a big year for my 7 year old! He lost a bunch of teeth and with new teeth growing in, we are trying to teach him some simple solutions to keep the new teeth happy and healthy. To start the summer with healthy routines, I stocked up the bathrooms with several Listerine products for each member of the family. For daddy and me, we are using the Listerine Total Care line. While he likes the regular Listerine Total Care, I prefer the Listerine Total Care Zero with no alcohol. My sensitive mouth thanks me for it. Though Andrea isn’t old enough for mouth rinse, we are teaching her healthy habits by example. Her older brother will be using Listerine Smart Rinse and by the time she is old enough, good habits will be already be created. 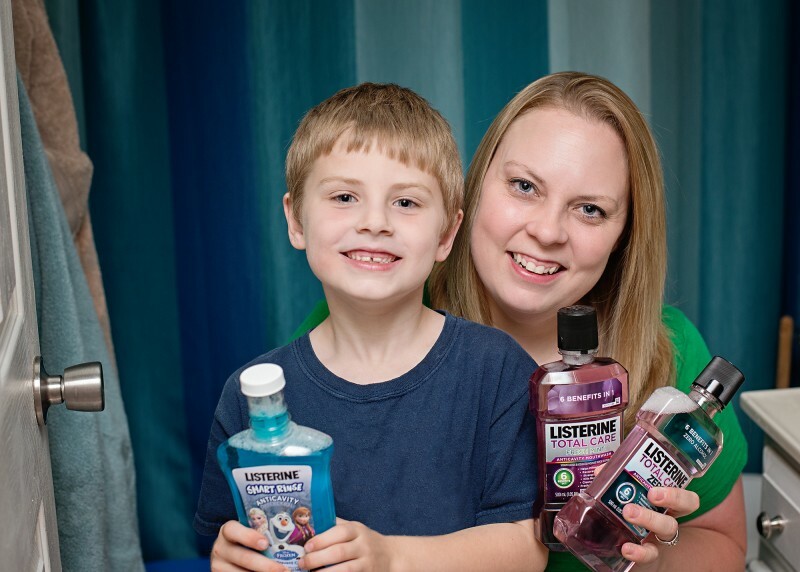 We hope..
All of these oral care products, Listerine Total Care, Listerine Total Care Zero and Listerine Smart Rinse are simple solutions to help me, as a mom, to ensure all of my family’s mouths are Totally Taken Care Of this summer. 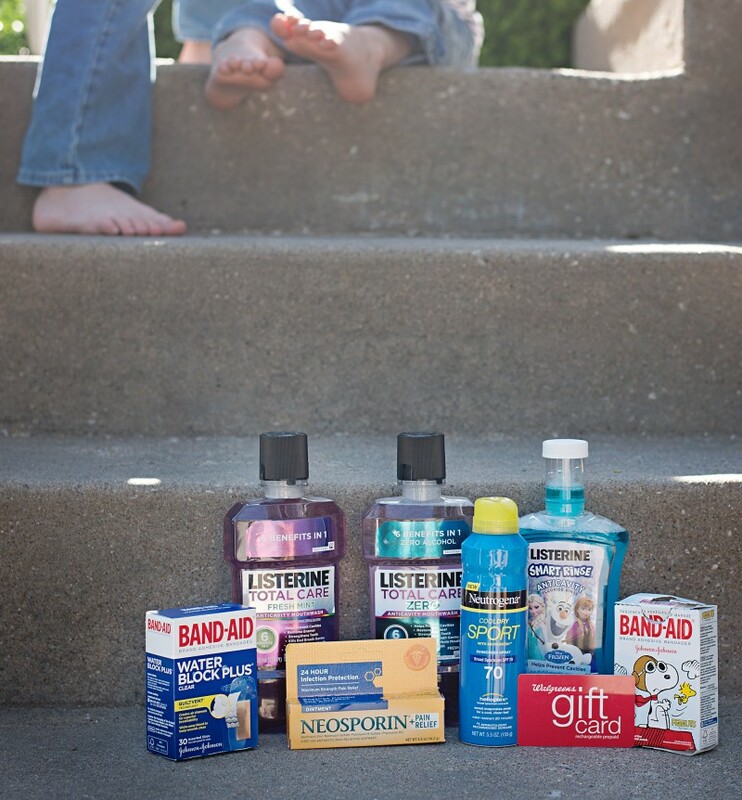 Walgreens is the perfect place to stock up on products like these! And because summer brings more than dirty mouths, it also brings dirty knees, sunburns and boo boos from falling down. 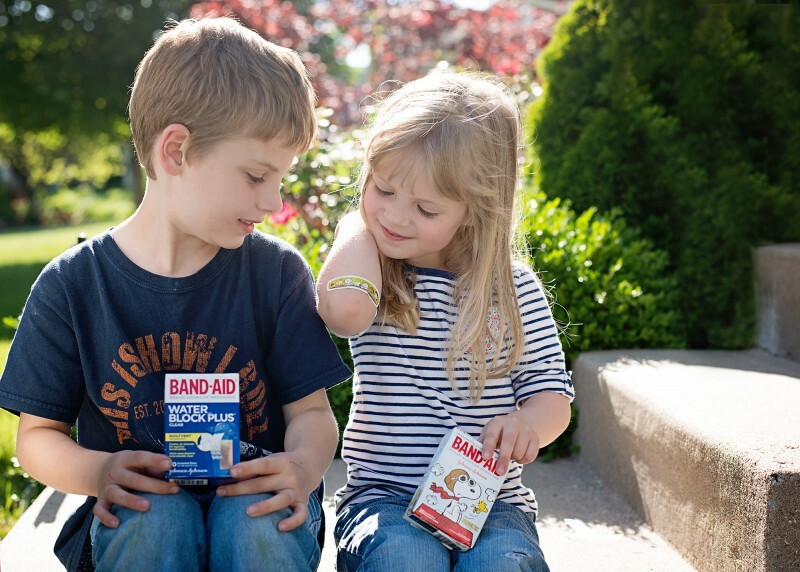 In our summer arsenal, we also are also stocked up with several Band-Aid products, Neosporin and Neutrogena sun block to keep our kids safe and healthy outside too. Visit your local Walgreens to stock up on all of your summer wellness products! Week 1 Weigh In – Staying Accountable & The ColorRun 5k!